Shockingly, research finds that the most abundant source of toxic exposure is not actually the pesticides or the antibiotics, but the dry pellet feed! Pollutants found in the fish feed include dioxins, PCBs, and a number of different drugs and chemicals. These ccontaminants cause =permanent damage to the organism and is associated with autism, ADHD, disorders of the immune system and the endocrine system. If you ask the Environmental Protection Agency (EPA) they declare it is farmed Salmon. In fact, the EPA recommends that you not eat more than one meal of farmed salmon per month. However, it’s one of the most dangerous recommendations. FARMED SALMON IS ONE OF THE MOST TOXIC FOODS IN THE WORLD. It’s important to understand that farm raised fish of ALL species can spell disaster for your health in a number of ways. First of all, fish were never meant to eat corn, grains, or poultry and pork for that matter. In addition, farmed fish of all species are also given a dangerous concoction of vitamins, antibiotics, and depending on the fish, and synthetic pigments. So what’s wrong with the fish feed? Why is it so toxic? In one Norwegian fish pellet plant, the main ingredient turns out to be eel, used for their high protein and fat content, and other fatty fish from the Baltic Sea. That’s where the problem begins, as the Baltic is highly polluted. Some of the fish used have toxic levels of pollutants, which then simply get incorporated into the feed pellets. In Sweden, fish mongers are now required to warn patrons about the potential toxicity of Baltic fish. According to government recommendations, you should not eat fatty fish like herring more than once a week, and if you’re pregnant, fish from the Baltic should be avoided altogether. Swedish Greenpeace activist Jan Isakson reveals some of the sources of all this pollution. Just outside of Stockholm, there’s a massive paper mill on the bank of the Baltic that generates toxic dioxins. Nine other industrialized countries surrounding the Baltic Sea also dump their toxic waste into this closed body of water. Dioxins bind to fat, which is why herring, eel, and salmon are particularly vulnerable, and end up accumulating higher amounts than other fish. As a result of being deemed unfit for human consumption, some of these fatty fish are now primarily used as fish food. In this way, toxicity in the farmed salmon is allowed to build up even higher than in the wild. According to the International Fishmeal and Fish Oil Organization (IFFO), today’s farmed fillet may contain as little as half of the omega-3s as it did less than a decade ago. This is because farmed salmon are now feasting on byproducts of hog and poultry processing, soybeans and soybean oil, canola oil, corn and other grain instead of small wild fish high in omega-3s. Did you know that eating more than one meal of farm-raised salmon per month can increase your risk of developing cancer in the future due to the increased levels of chemicals and antibiotics? 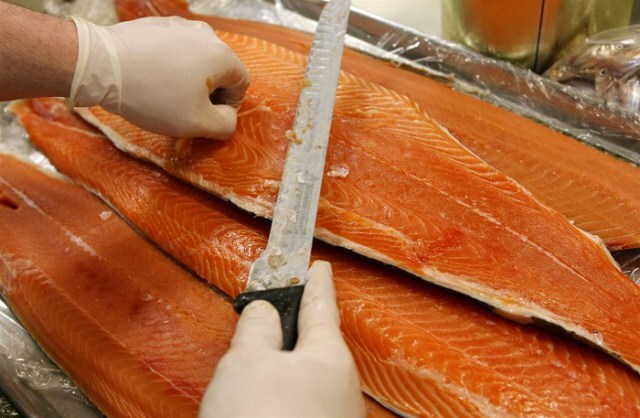 Farm-raised salmon contain PCB which are cancer-causing chemicals at a concentration 16 times higher than wild salmon, and the level of dioxin is also higher, by a factor of 11 fold. Additionally, farmed salmon provides your body with higher levels of inflammation producing omega-6 fatty acids. 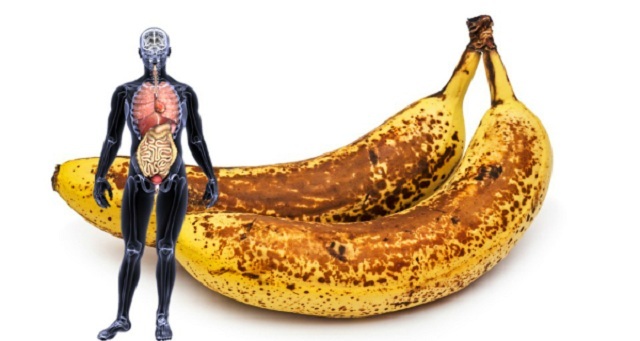 Inflammation leads to many diseases including cancer, diabetes, arthritis, coronary artery disease and even Alzheimer’s. Farmed salmon get filled full of synthetic astaxanthin that no government has ever approved for human consumption. The feed given to farmed fish is a dull gray color. This potentially harmful variety of astaxanthin is used to make salmon flesh look more of a pink color so humans who eat farmed salmon will be fooled into believing they are eating real wild fish.